Those in the industry know that breathing in welding fumes is not good for them, but how many realise that some of those innocuous looking fumes can be deadly. Alan Johnson reports. With the correct PPE, arc welding mild steel in an outside area, or in a well ventilated workshop, is not a problem, but when welding more exotic materials fabricators and co-workers should take special care. 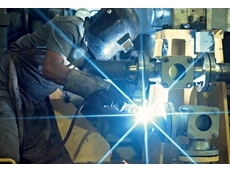 Arc welding fumes contain small particles from the consumables base metal and base metal coating. The substances in the fumes change depending on what is in the electrode and the base metal including any coatings. The most common compounds in fumes when welding mild steel, for example, are complex oxides of iron, manganese and silicon. The short term effects of these compounds, if inhaled, are temporary and include burning eyes and skin, dizziness, nausea and fever. However long term exposure to these fumes can lead to silicosis (iron deposits of the lungs), bronchitis, and even lung fibrosis has been reported. And if the compounds found in the welding fumes include Barium, symptoms may include severe stomach pains, slow pulse rate, convulsions, muscular spasms and even death. 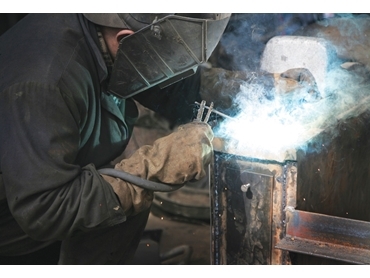 Welding equipment manufacturers and industry organisations highlight the need for fabricators, and their co-workers, to be especially careful when working with new metals and materials, particularly when welding heavy metals such as magnesium and chromium. Welding professionals should understand that it all depends on the base material and the consumable the welder is using and if the metal is coated. It is not uncommon for welders to be overcome with paint fumes when welding painted metal. Thankfully, most welders are aware of the dangers of welding fumes, and the short term and long term respiratory problems they can cause. For example the vast majority of welding machines and consumables in Australia have warning labels on them regarding welding fumes. However, welders should be especially aware of working with exotic materials such as cadmium, chromium, cobalt, copper, fluorides, manganese, nickel, silica and zinc, even stainless steel. Cadmium requires extra precautions, especially as it is often found on steel and steel fasteners as a plating or in silver solder. Cadmium fumes can be fatal, even after brief over-exposure. CHROMIUM poses a cancer risk. Stainless steel and other hard coatings contain chromium and can cause lung cancer and asthma. COBALT may cause respiratory diseases and pulmonary sensitising, and in metallic form it has been know to cause lung damage. COPPER may cause metal fume fever, skin irritation and discolouration of the skin and hair. Magnesium may affect the central nervous system, difficulty in speaking, and arm and leg tremors, often non-reversible. ZINC, found in galvanising, may cause fume fever.